Scientists from the Washington University School of Medicine in St. Louis and University of Illinois at Urbana-Champaign have developed wireless, implantable technology that can activate, and possibly block, pain signals before it reaches the brain. 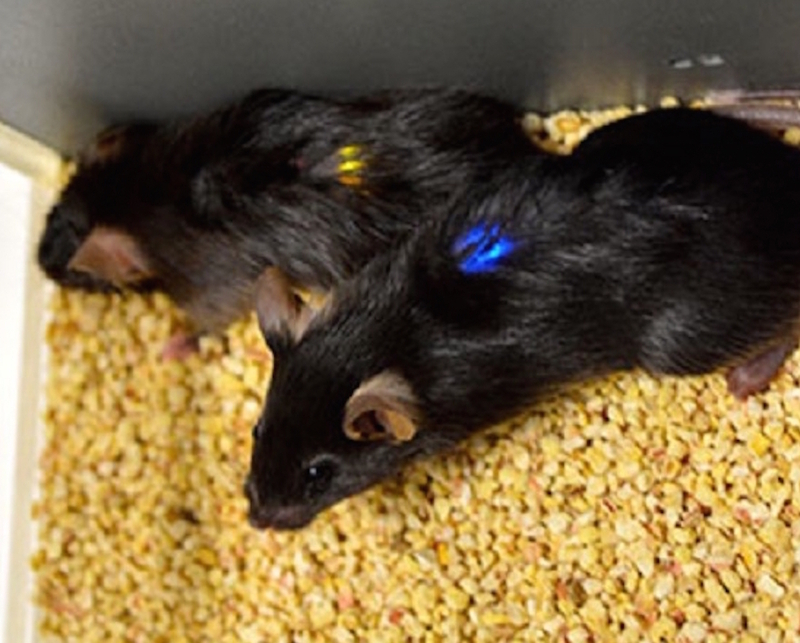 To test the technology, researchers experimented on mice genetically engineered to have light-sensitive proteins on some of their nerve cells. To demonstrate the influence the implants had on pain pathways, the scientists activated their pain response using light. A specific area in the maze causes the implants on the mice to light up, indicating that the mice felt discomfort whenever they passed through it. Like previous models, it uses microLED lights that activate specific nerve cells. But the key to these new implants is its flexibility. As opposed to older devices which had to be anchored to bone, these new ones are smaller, softer, stretchable, and can be held in place with simple sutures. This makes it exponentially easier to be applied to parts of the body that move, including the bladder, stomach, heart and other major organs. “They provide unique, biocompatible platforms for wireless delivery of light to virtually any targeted organ in the body,” says Principal Investigator, John A. Rogers, PhD, Professor of Materials Science and Engineering at the University of Illinois in a story published on their website. In theory, this technology can manage pain by giving patients the option to turn the pain signals off before they reach the brain. It’s particularly useful for being able to provide a way to combat pain that doesn’t respond to other therapies. “Our eventual goal is to use this technology to treat pain in very specific locations by providing a kind of ‘switch’ to turn off the pain signals long before they reach the brain,” said co-senior investigator Robert W. Gereau IV, PhD, the Dr. Seymour and Rose T. Brown Professor of Anesthesiology and director of the Washington University Pain Center. Both researchers are intent on bringing this device mainstream in the coming few years.